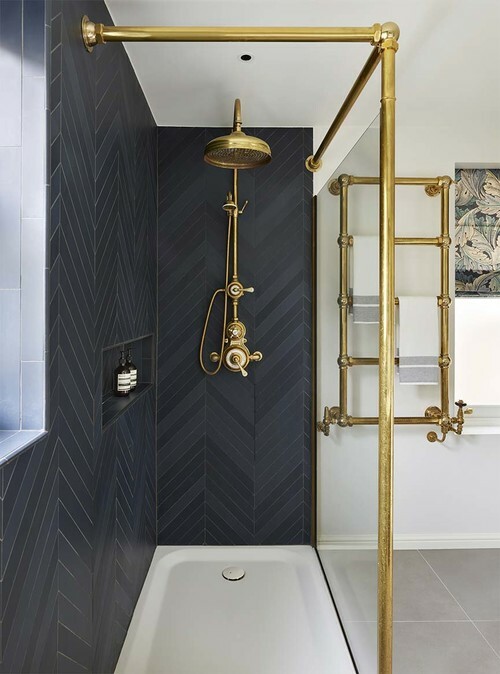 If you had seen my previous Blog which was the latest bathroom trends, here is the follow on which is all about the floors and walls. Marble or marble imitations are a hit for there simplicity and clean lines. Extra large sizes are the look to go for. 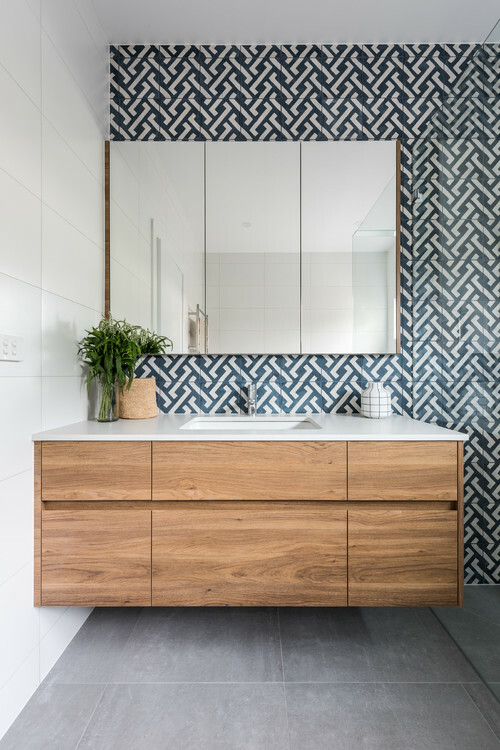 Small tiles with pattern and colour are also trending this year. 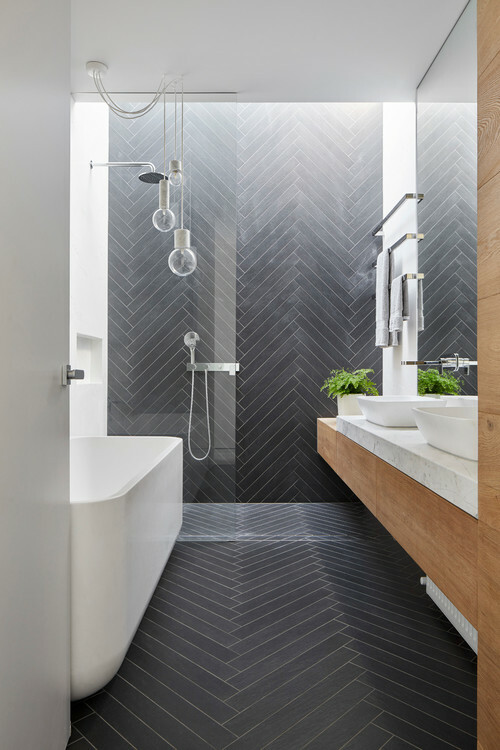 According to a Webinar I attended with Houzz, Shevron tiles for the walls and floors were a big trend in 2017. Us Brits tend to stay on the safe side with white walls, but floors tend to be grey or beige. We are also starting to see Blues & Greens used in bathroom giving it a heritage look. Or Multicoloured tiles on the floors for a Moroccan Influence. 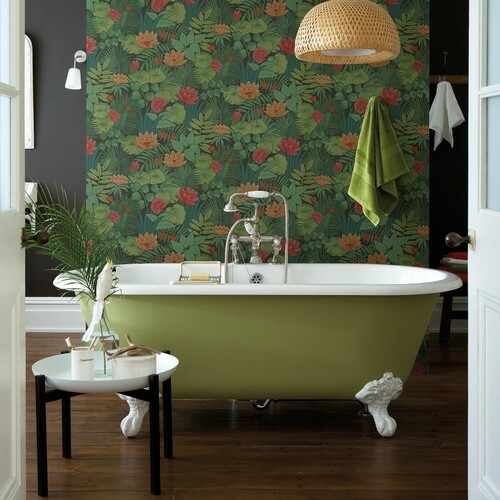 Wallpaper is also a big hit in bathrooms. 61.1% of UK homeowners always opt for the Contemporary look in a bathroom and I have to agree I am definitely a contemporary girl at heart. Clients are wanting bathrooms with underfloor heating, sound systems, dark & moody lighting & illuminated mirrors. They are also wanting increased shower size and having a spa like feeling. 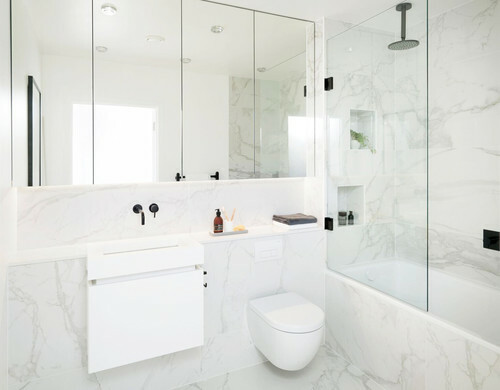 What do you look for in a bathroom? As always I would love your comments, and if you have any questions, please do not hesitate to contact me. Make sure you sign up to my Newsletter to receive interior tips and advice exclusive to the folks who sign up to the newsletter.